In the video titled “Converting SharePoint Manual Tests to Automated Tests using Visual Studio 2012“, we ended up converting the manual test case we created in the “Manual Testing for SharePoint using Microsoft Test Manager 2012” video to an Automated Test. In today’s video, I’ll show you how to execute the Automated Test from Microsoft Test Manager 2012 in the same way we executed a Manual Test. You can watch the video here. 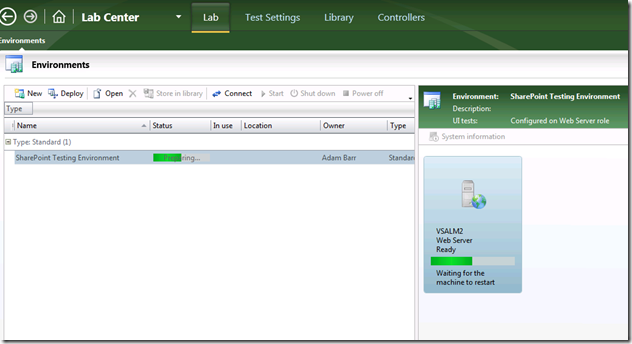 When you run automated tests in Microsoft Test Manager, you must run them in a lab environment. To run automated tests in a lab environment, you must associate your automated tests with test cases, and then add the test cases to a test suite in a test plan. Build & Install the SharePoint application in the Testing Environment. Add the Automated Test to the Test Plan. Create a Build Definition & Queue a new build. 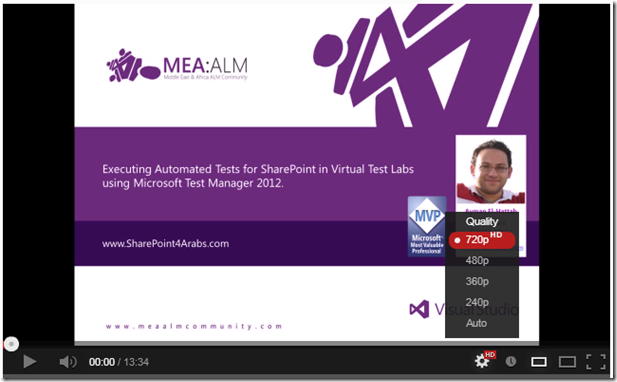 Previous Post[Arabic Video] Exploratory & Agile Testing for SharePoint using Microsoft Test Manager 2012Next PostWhere Are my SharePoint Test Automation DLLs?